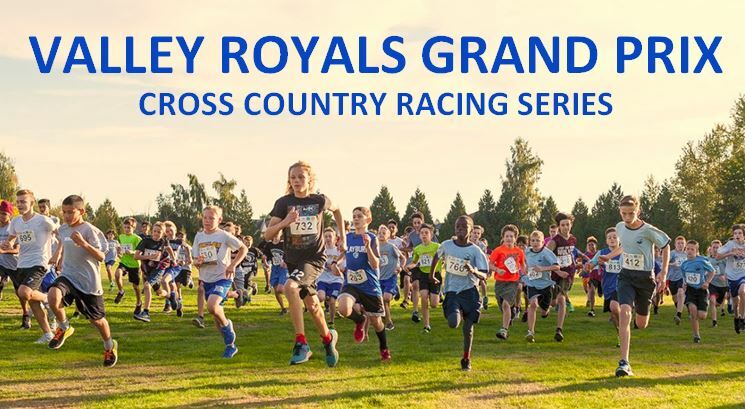 The Valley Royals Grand Prix Cross Country Series is hosted every Wednesday afternoon over 4 consecutive weeks in the fall (the last two Wednesdays in September and the first two Wednesdays in October). 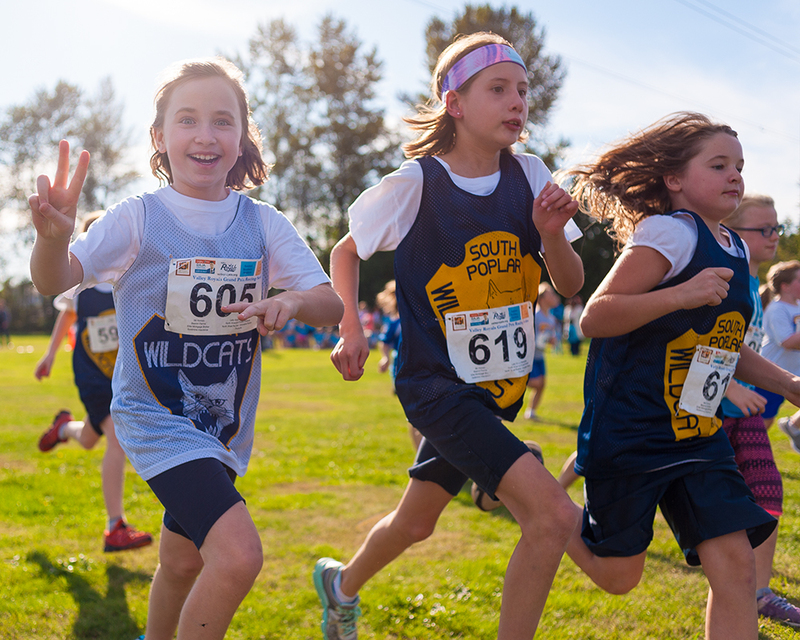 The racing series attracts hundreds of students in Grades 4 to 8, from the Abbotsford and Mission area. The Grand Prix takes place in “Clearbrook Park” (also called “Ron Wiebe Park”) over a 1-Mile (1600 m) race course around the main field and through the woods on the north edge of the park. Students get better at running the course each week, learning how to pace themselves for a race of this distance, and improving their stamina. Students love to try and improve their personal best time (PB) or finishing position from week to week. Results are posted on this Web Page each Monday after a race. All 4 Race Results are calculated together to determine the placement of award winners. Race dates for 2018 are: September 19th & 26th and October 3rd & 10th. The Series is open to ALL students in grades 4, 5, 6, 7, or 8. If a student is homeschooled, or attends a school that does not participate in this event, they can register as”unattached”. The Registration price per athlete is $8.00 (includes all 4 Races) if registered before Midnight Sunday September 16th using the Online “Trackie” system (see link below). 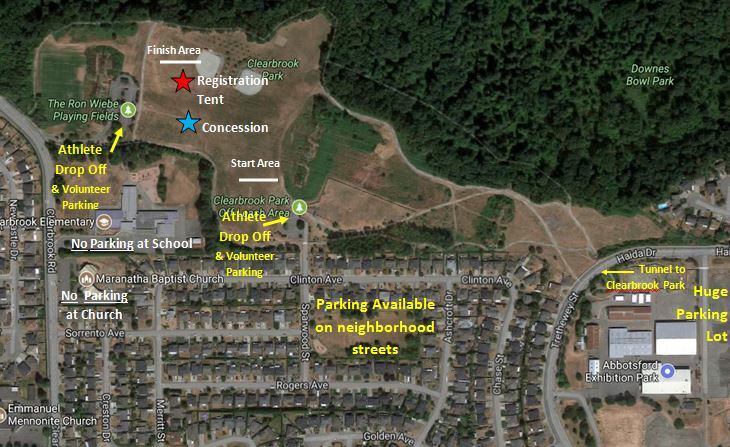 Late Registration is $12 per athlete and is available at Valley Royals Registration Tent on site on race days. Once done entering all athlete data click on the “PROCEED TO STEP 2” button. HOW TO PAY: Trackie will not accept payment for this event. Please Bring Cash or Cheques (made payable to the “Valley Royals”) to the Valley Royals Registration Tent on site in Clearbrook Park on the first Race Day. Upon payment, schools will receive an envelope of numbered racing bibs and an athlete roster matching each athlete with their number, each home schooling family will receive the same for their registered children. PRICING: Athletes registered online before midnight on September 16th only pay an $8 registration fee which includes all the races the series (regardless of how many of the four races the athlete participates in). LATE REGISTRATION is available at the Valley Royals Registration Tent on site in Clearbrook Park on race days: Sept 19th, Sept 26th, Oct 3rd and Oct 10th. Late Registration pricing is $12 per athlete which pays for all races left in the series. Send any questions to Christa McAuley at: [email protected] Please note that Christa won’t be able to accept Registrations. All Athlete Registrations must be done online using the link to Trackie above. We realize parking is an issue at Clearbrook Park but ask that you kindly park on neighborhood streets South of the park or to the East at Exhibition Park and walk across to Clearbrook Park using the underpass tunnel near the northwest corner of Exhibition Park. Clearbrook Elementary The school locks its gates when done for the day so don’t risk getting locked in for the night. There is NO DRINKING WATER available at the Park, runners should bring their own water bottle. However the Valley Royals will be hosting a concession stand that will sell water, sports drinks, chips and small candy bags. In 1983, the elementary school’s Grand Prix Cross Country series of races came into being after Gerry Swan returned from the Canadian Track and Field Team tour of Europe. He noticed that a very popular series of meets in Europe were called the Grand Prix, where the winners were awarded points in each of the five Grand Prix meets they competed in. The winners were awarded prizes in ounces of gold or even a Mercedes Benz car. When Gerry arrived home from that series of meets, he suggested to his wife Jane, that perhaps they could initiate a series of cross-country meets for elementary school aged athletes that would follow the format of the European Grand Prix. Jane thought this was a great idea and set forth in putting the wheels in motion to begin what is now known as the Valley Royals Cross Country Grand Prix. The first meets began in 1984 and took place in Centennial Park. These early meets had races for grade 4, 5, 6 and 7, and in the initial years attracted less than 100 competitors. There were some memorable races in Centennial Park. On one particularly noticeable race day, a giant thunder and lightning storm took place during the grade 5 boys’ competition. The loud claps of thunder and bolts of lightning so frightened one youngster, who at the time was leading the race, that he ran off the course and jumped into his mother’s arms. After that the competitions were delayed for half an hour until the skies cleared. With the advent of middle schools, the series was enlarged to include grade 8s. In addition to declaring winners in each grade division, it was decided to have an overall/ aggregate winner declared with the Jane Swan trophy awarded as the grand prize. Now we are in the 35th year, the series is as popular as ever. Schools use it as their kick-off point for the other athletic teams that will have their competitions following the cross-country season. In addition, it’s hoped that the series will promote general fitness and that is the purpose behind the awarding of the Jane Swan Fitness Award. So good luck to all the schools and competitors, and we will hope that this series of meets is as popular in the coming decades.